Anita Chapman’s interesting blogpost about the benefits and drawbacks of taking excerpts from the first draft of a novel to a writing workshop has got me thinking about when it’s best to take poetry. At what stage of the writing process will scrutiny by others benefit a poem? It’s a relevant question for me because I’ve just booked to attend three seminars and workshops run by the poet, critic and teacher, Carrie Etter. For the first session I was thinking of taking a poem that I’ve worked on for some time, in fact for over a year, and submitted to several competitions without any success. Each time the poem has been rejected, I’ve tinkered with it some more. I felt it was a good poem even if several competition judges had dumped it in the shredder, so I recently sent it to a poetry journal (at the Editor’s invitation) but it wasn’t accepted. Now I’m undecided about the poem. I’ve worked on it so intensely, for such a long time, I’m finding it difficult to evaluate dispassionately. Perhaps this poem really needs a serious overhaul. So I’m thinking it would be good to take it to a workshop where it will be read with fresh eyes. Perhaps constructive criticism from others will open new and exciting avenues for this poem. But on the other hand, maybe this is a poem I should now put to one side, recognise I’ve worked on it for long enough, move on to other work. Although I’ve started and finished other poems, this one is still stealing creative energy that I could be spending elsewhere. I’ve written two new poems recently, for instance; should I take one of these to the workshop where I will have the chance to gage the reactions of eight different readers? If you show a poem too early, will the creative process be hindered? But, what if, by showing my work at this early stage, having only just written it, I interfere with the creative process that can occur when a piece of writing is put to bed for a period of time and read again from a new perspective after a few days, weeks or months? What if a new poem, allowed out when it should be resting, listens closely to different suggestions about its potential shape and morphs into a completely different poem than the one I had originally intentioned? What if I lose sight of the original idea that sparked its conception? What do others think? 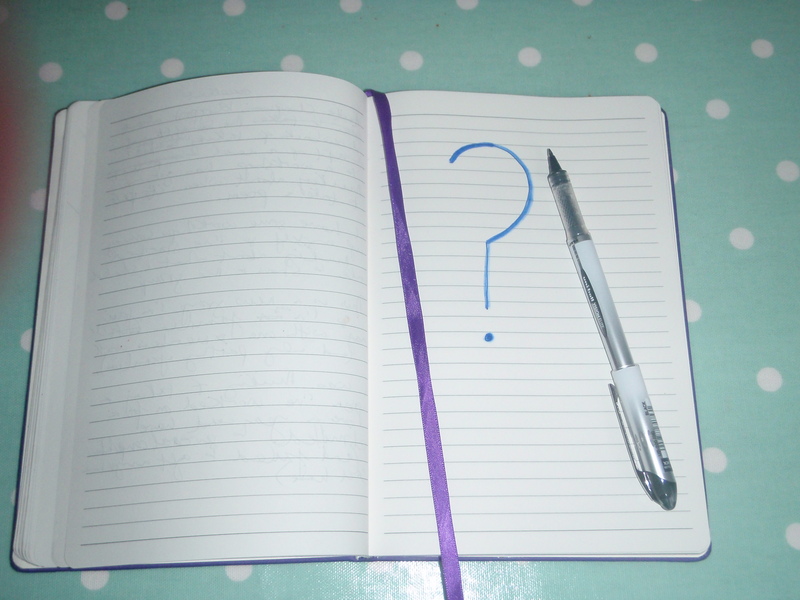 When is the best time to workshop a poem? Clearly, there is no right or wrong in this. My views have changed over time. This has been my experience. I think that the body of a poem is ready to be critiqued quite quickly. What you have over the first few days should be the basis for that poem – or the poem in that form wasn’t going to work anyway. The motive of the poet is important. Some like to go to workshops to show off, for praise and for validation. Some genuinely want to test what others think, and to explore responses as to how the body of the poem might be dressed. Previously, I have taken poems to be critiqued when I have felt that they were as complete as they might reasonably be. (Although I am fond of the aphorism that there is no such thing as a completed poem- just work in various stages of abandonment!) . I found the experience unsatisfactory. Response was typically that it was finished- for better or worse. People either liked it, or didn’t . And because I felt that it was complete, my mental preparedness to accept revisions was reduced. By contrast, my own preparedness to respond to critique of an early draft was greater, as was the preparedness of others to make suggestions. There is a mantra that we should be true to ourselves in our writing and not be blown off course by the ephemeral whims of others. That has merit. Equally I have taken a poem that I was confident with to a number of different critique sessions- and found the same criticism/shortcomings highlighted by each! At some point you may have to accept that the voice of the people is the voice of God. The forums that you consider for critique are important too. A group that understands your milieu may be useful, one unsympathetic might be hostile on grounds of taste, not mechanics. By contrast going to a group that is outside of your comfort zone may also have benefits. Do we really just want to write for the converted or a narrow r=niche, or do we want to reach beyond? Why might a Steampunk poetry group not have something valuable to say about a landscape poem? My own experience is that poems for publication stand or fall on theme and impact, not by detail or form. Either they fit that publication, and strike a chord, or they do not, tinkering is unlikely to make much impact. There is a powerful case for determining what poems are submitted for publication by consultation with critique groups. What the poet thinks is irrelevant, how does a cold reader respond? Gary, thank you for such a measured response. Your blog is superb, by the way, and I’m now following it. You make a good point about the poet’s own preparedness to respond to suggestions about her/his work. I think it’s essential to think oneself into the right frame of mind before attending a workshop, to retain confidence in the poem but to be open to critique. I say you can definitely workshop a poem too early. A while back, when I wasn’t making enough time for redrafting, I fell into a habit of taking almost-first-drafts to my writers’ group. They usually liked them, and gave me lots of good tips, but if I look back I see that only a few of those poems have actually progressed to a ‘finished’ version (insofar as that’s possible). I think the problem was half-formed ideas being treated as if they were weighed, considered ones; and somehow I no longer knew which ones should go and which should stay. Another way of saying it might be that I’d lost some ownership of the poem, and when I came back to it I was listening to the voices of my workshoppers, rather than to my own judgement. It didn’t work. Now I’m much more confident about waiting to let my own idea of a poem develop; I don’t really show early drafts to anyone these days. I find it works a lot better. If I were in your position Josephine, I think I’d shut that old poem up in a figurative cupboard for about a year. Even if you get the best advice possible on it, my guess is that you’re not seeing it clearly any more – but with a bit of a break, you will. Thanks for commenting Brian. There are some thoughtful responses here and on my facebook page. The consensus seems to be that poems benefit from workshopping at any stage of the writing process so long as the writer remains open, but guards against flattery, and doesn’t lose sight of what it is they are actually wanting to say. I’m ambivalent about whether a poem (or any creative writing) can be critiqued too early, but I think it can be over-critiqued. A year in the bottom drawer may be an effective ploy, because it creates a distance between oneself and one’s ‘baby’. Thanks for commenting, David. I agree, putting work aside and revisiting after some time can produce results. Hi Josephine, thanks so much for referencing my blog post. I’ve only written a little poetry, but from a writing perspective you could keep sending the poem out whilst working on other stuff-maybe it will eventually find a home? I’ve sent my first novel to a handful of agents so far, but tell myself to keep trying as a great deal of time and energy has gone into it over the past few years. When I don’t receive feedback re a rejection, I worry that I might change something in my novel which the next agent might like. I think in the end writing comes down to gut instinct. Good luck-you are such a talented poet! Thanks for your supportive comments Anita and introducing the topic in the first place! I have found reading the comments on this topic interesting and helpful. In my experience you can take a poem(or poems) to too many workshops in the mistaken belief that the next one will provide you with magic solutions. The process can become confusing and after awhile can you lose your way; the poem no longer belongs to you and may well have lost its original freshness, your own poet voice! Once that happens you may lose your own inherent ability to evaluate its worth. I take poems to workshops in all sorts of phases of development, but i try to hold on to the original concept an early, if not a first draft. Then i can look back after a period of ‘resting’ it to ponder the gains and losses of workshp input. Sometimes it works, sometimes it doesn’t. There are no magic solutions, and the belief that there are can lead to a cul de sac. Thanks for a thoughtful and helpful contribution, Wendy. I can relate to much of what you say. Holding on to the original concept is vital, I agree. Any time. The important thing is to hold on to what you originally took to be workshopped, and wait a while before committing yourself to changes. If you don’t feel you own the poem any more, maybe you should live with and love the original for a few weeks or more longer. Thanks for top-notch advice, Bill! Love this post and the responses. I have two groups that I share poems with regularly. At one, the poems are subjected to line by line critiques. At the other, only the lines that the other poets feel they can help with are highlighted. In the first group, typically I put the poem away for months before I am ready to have another go. In the second group, I tend to feel more upbeat about getting on with it. So I agree, it isn’t an either or question, and depends on the group to some extent. Thanks for commenting, Carol. Since posting I’ve attended the workshop (I took along the older poem), noted the various suggestions that were offered and found a way to improve my poem. I found the comments here extremely helpful, including yours!